Kramer, J.L.A.M, Kik, A.C, & Vis, R.D. (1995). 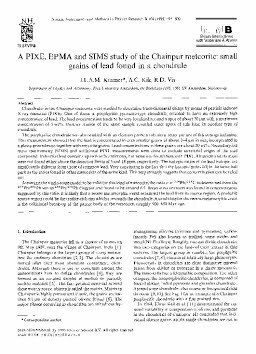 A PIXE, EPMA and SIMS study of the Chainpur meteorite: small grains of lead found in a chondrule. Nuclear Instruments and Methods in Physics Research B, 104(1), 494–494.